The jack (o’-lantern) of all trades, a pumpkin can be much more than just seasonal decor for your home. These orange gourds are packed with beta-carotene, a provitamin that converts to vitamin A in the body and helps boost your immunity and maintain the health of your eyes. 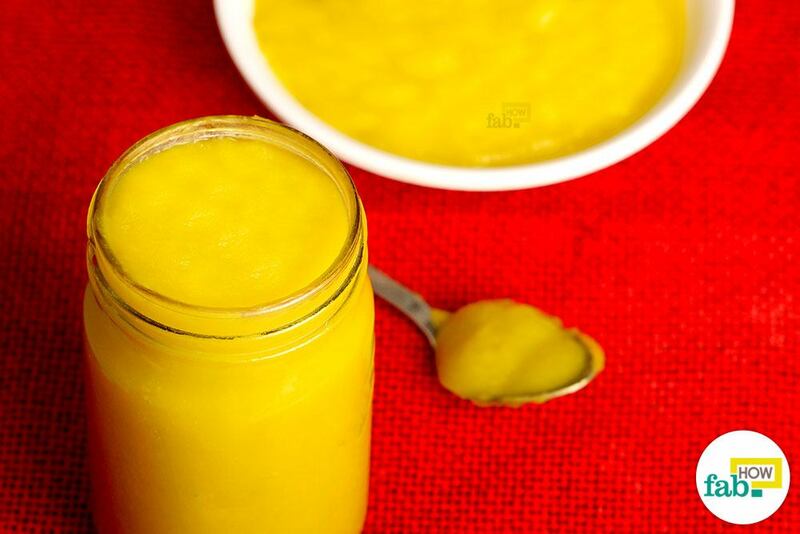 Moreover, a cup of fresh, roasted pumpkin puree offers 3 grams of fiber and just 50 calories. 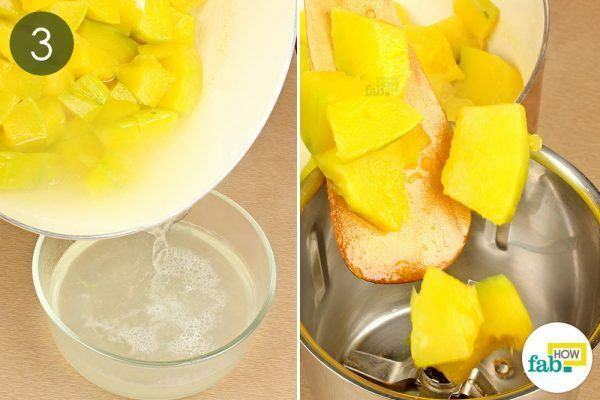 Plus, the striking taste is just too good and can boost the flavor of any delicacy. Sure, there are plenty of canned options, but nothing can compare to the aroma and taste of freshly cooked pumpkins. Plus, it’s super easy to make from-scratch! So, who wouldn’t like to go for something that is tasty, healthy and aromatic? And once made, you can just store the pumpkin puree for months to use in any of your upcoming recipes. Generally, 3 pounds of fresh pumpkin will give you about 3 cups of mashed and cooked puree. Here are the two easiest and quickest methods of preparing a pumpkin puree at home. Slice a pumpkin into halves. 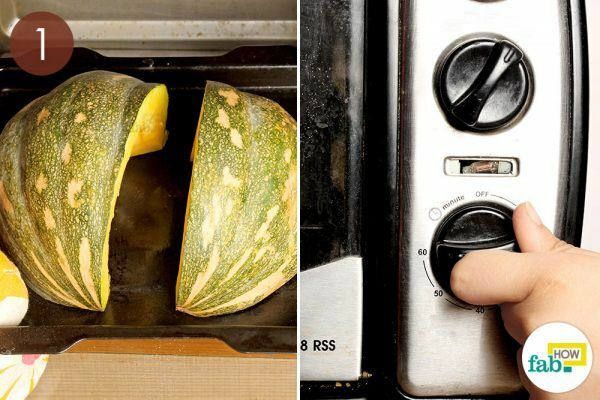 Put the pieces upside down in a baking dish and bake for about 1 hour at 350° F, until the flesh of your pumpkin gets soft. This can take up to 70 minutes. 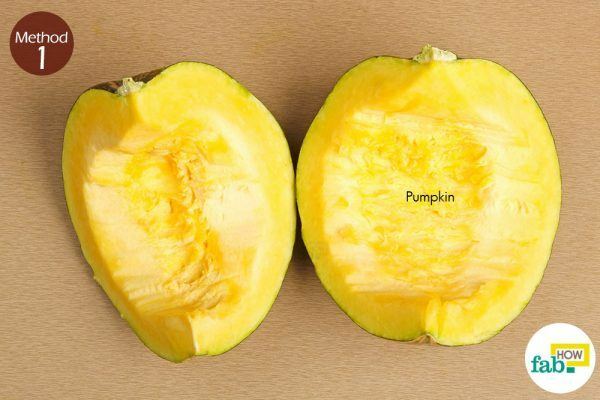 Check the tenderness of your pumpkin. 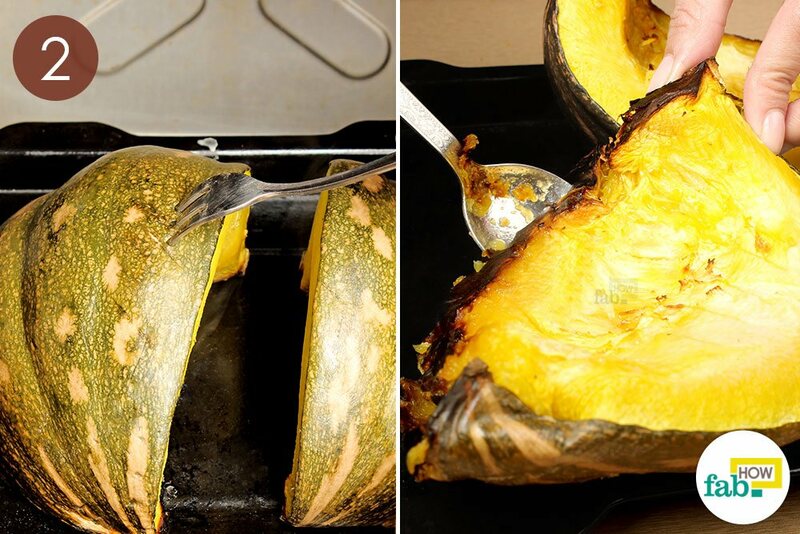 If a fork or knife easily penetrates the flesh, your pumpkin is ready. Allow it to cool for 5 to 10 minutes. 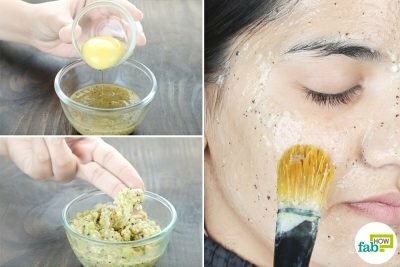 Using a spoon, scrape off the flesh from each half. 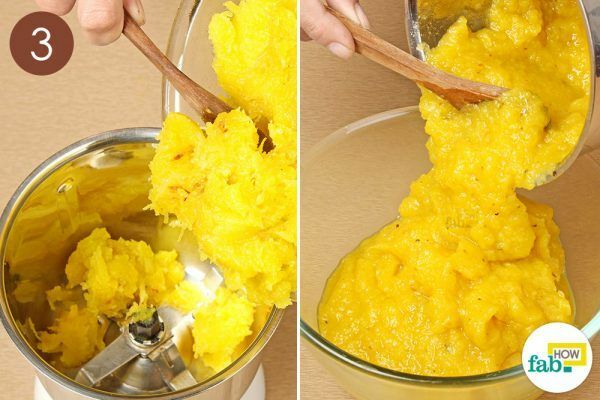 Place the cooked pumpkin flesh into a blender and puree until smooth. This method gives a roasted flavor to the pumpkin and is ideal for various food preparations. You can store this pumpkin puree in the fridge for up to one week and a half and it can be frozen for several months. 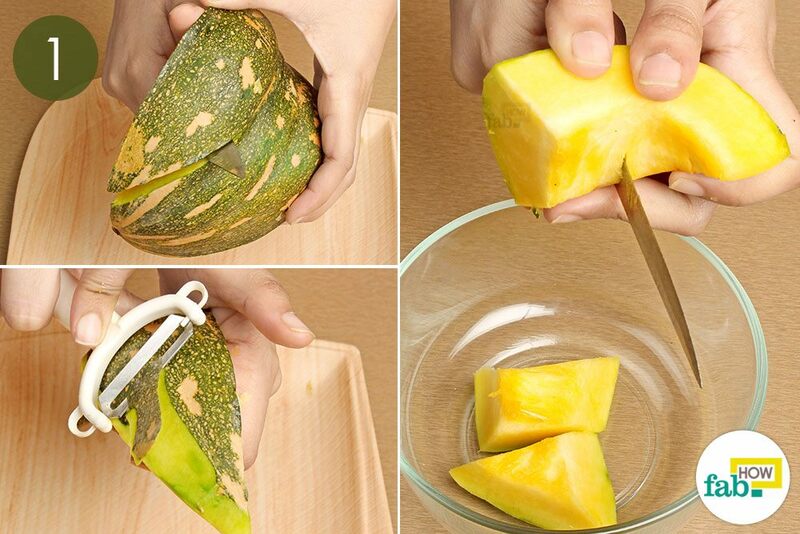 Slice a pumpkin into halves and peel off the skin. Chop the pumpkin slices into small pieces. 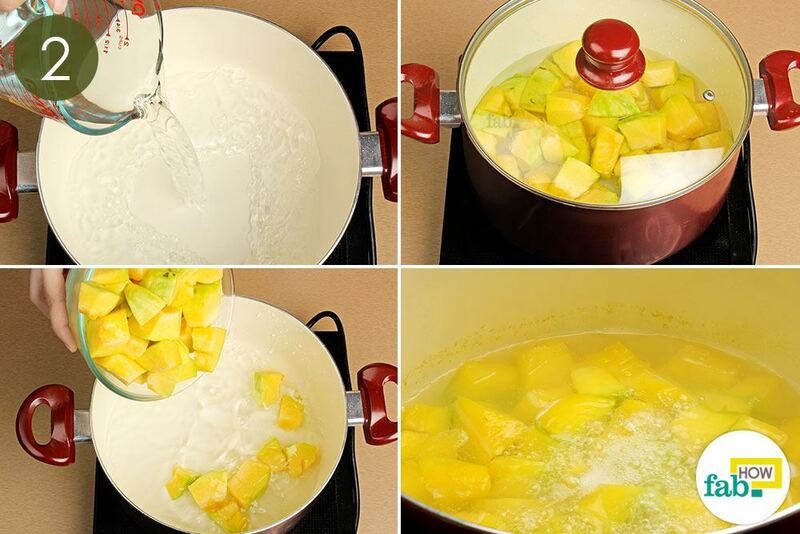 Heat water in a pan and add the chopped pumpkin. Cover the pan with the lid, bring it to a boil and let it simmer for 10 to 12 minutes or until tender. Check that that cooked pumpkin puckers and feels soft when pressed with a spoon or fork. 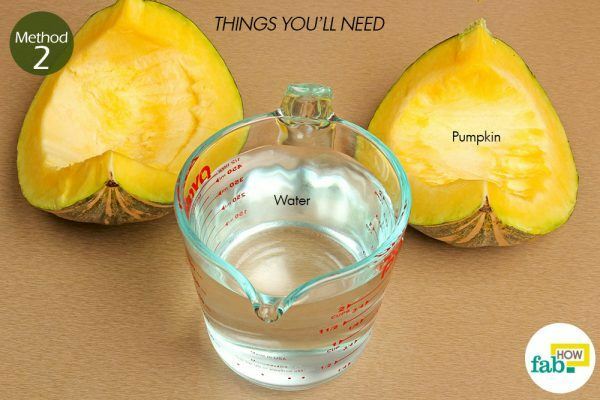 Strain the pumpkin to drain out any excess water. Throw the tender chunks of pumpkin into a blender. Process the pumpkin in a blender until smooth. Serve warm or cool, depending upon your preference. 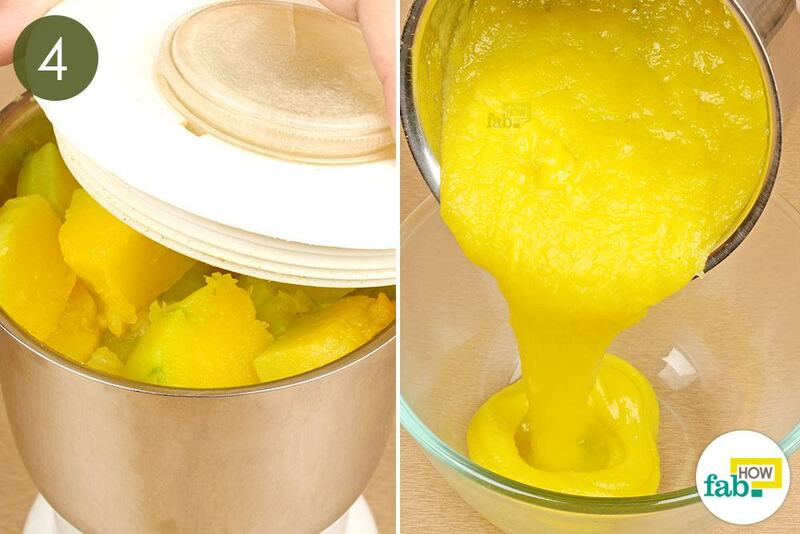 You can store the pumpkin puree in the refrigerator for up to 1 week and freeze it for 3 to 4 months. When using the baking method, make sure your cooking sheet has raised edges. Pumpkin releases a lot of moisture while being baked. Always use sugar/pie pumpkins for making a homemade puree, not the carving pumpkins. 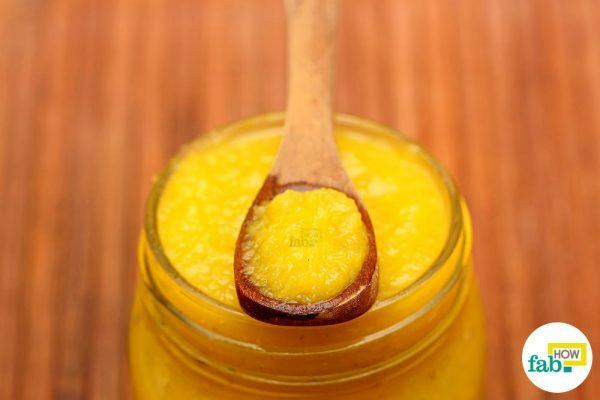 Do not fret if the color of your homemade puree is paler than the canned stuff that is more of a dark orange color. This is because canned versions use a different variety of sugar pumpkins and contain added preservatives. 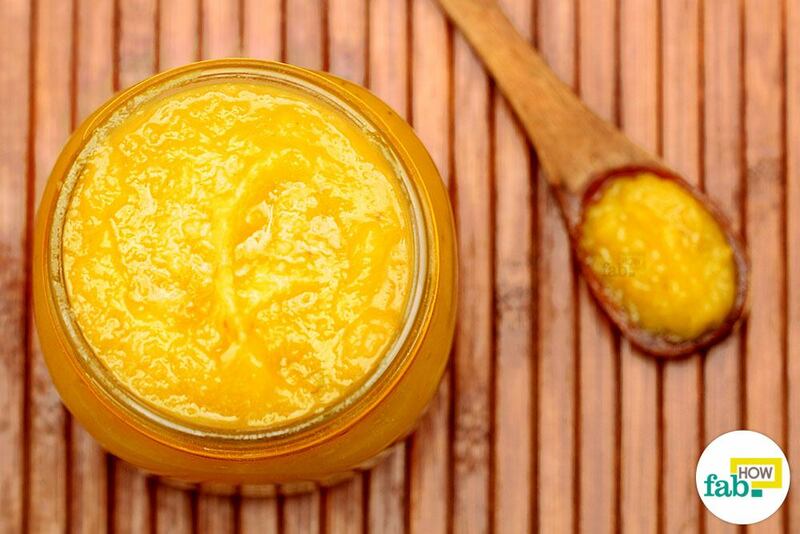 Your homemade puree will be a little runnier than the packed canned stuff, but this should not affect your recipes. However, if you prefer your puree to be less runny, line a colander with cheesecloth and put your finished puree in it. Place the colander over a large bowl and allow it to sit for some time to drain out excess moisture. Homemade pumpkin puree shall last in the refrigerator for about a week and a half, so you can enjoy pumpkin desserts for days to come.